There’s an online scam doing the rounds which is directly targeting olive producers. The AOA received a heads-up from Robert Pearse of Olive’s Olives – who was savvy enough not to get caught – to share with FOE readers. Producers are being approached by a person purporting to be the purchasing manager of a very large company based in Dubai UAE regarding a large order (in this case approx. A$2500 of table olives). The deal involves the producer paying the freight charges to the company’s preferred carrier. The sender is not, however, involved with the company named and it appears the freight charge would be a payment to the scammers, with no subsequent sale occurring. Thanks Robert: a great reminder of need for vigilance in our new world of online business. The Dakota Ridge Olives range includes smoking chips, olive leaf tea and smoked olives. Picture: Andy Rogers. Launching a new farm business is fraught with hurdles at the best of times. When you need the business up and running right from scratch, especially when you have not run such a business before, it can be doubly challenging. A great example of value-adding to increase business viability. There are over 800 drumMUSTER collection sites available across Australia where you can bring in your empty, clean eligible agvet chemical containers to be collected, processed and recycled. Find your nearest collection site here. The Agsafe national ChemClear service provides Australian agricultural and veterinary chemical users with a collection and disposal pathway for unwanted, inherited or unknown chemicals currently stored on agricultural properties. Illegal chemicals registered with ChemClear will not incur a penalty while in storage pending the next collection – register yours here or on 1800 008 182. More information on the service here www.chemclear.org.au. Athlete Candice Warner, 33 shares her day on a plate. Whether you’re interested in her diet or not, you’ve gotta love Dr Joanna McMillan’s recommendation to consumers to “Use extra virgin olive oil for frying your chips …” – the myth-busting continues! Looking for an Italian olive industry marketer? Giorgia Ibba is “an Italian with a special passion for olive oil” who is keen to work in the Australia olive industry in marketing, promotion and communications. Currently working in Jaen, Spain until 10 December, she has experience in similar roles in FMCG companies and both Italian and Spanish olive oil companies. 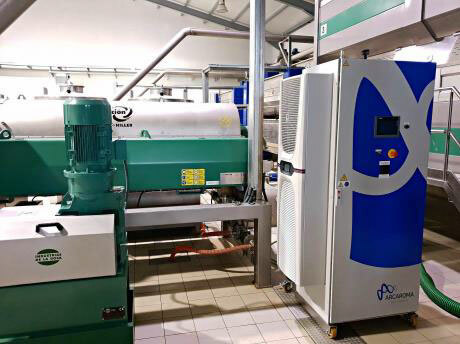 She’s also worked the olive harvest, collaborated on quality standards and traceability in bottling, and attended seminars and classes about innovation and sustainability in the olive oil sector, best practices and new technologies, and oil tasting. She’s open for opportunities – and questions. If you’re interested in knowing more, contact her at giorgiaibba@gmail.com. The Bureau of Meteorology has produced a user-friendly video of its Climate and Water Outlook for December 2018-February 2019, providing a comprehensive overview of conditions existing and forecast for the summer quarter. View it here. 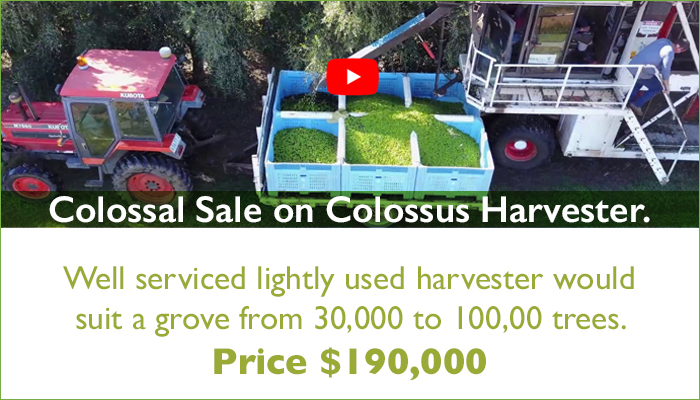 More information here or call the Agriculture Victoria Information line on 136 186. The Rural Financial Counselling Service is offering farmers and owners of small rural business in south eastern Victoria free, independent and confidential assistance that will help plan for the future. Offices are located in Leongatha (Head Office), Ellinbank, Maffra and Bairnsdale. Eligibility criteria apply. To find out more, contact the Rural Financial Counselling Service 5662 2566 or office@rfcsvg.com.au. December Olivegrower on it’s way – are you featured? 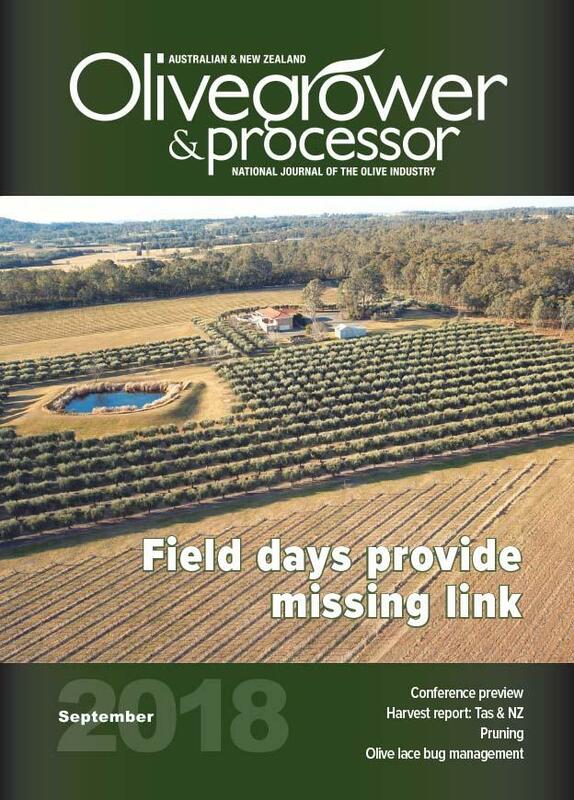 The December edition of Olivegrower & Processor has been printed and will be making its way into letterboxes across Australia, New Zealand and beyond very soon. 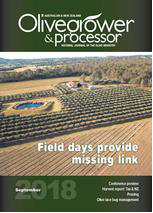 It’s packed full of industry news, R&D and practical grove information – along with results and photos of competition winners across both countries. If you haven’t renewed your subscription – or if you’re not yet a subscriber - now’s the time to act to ensure you get your copy. 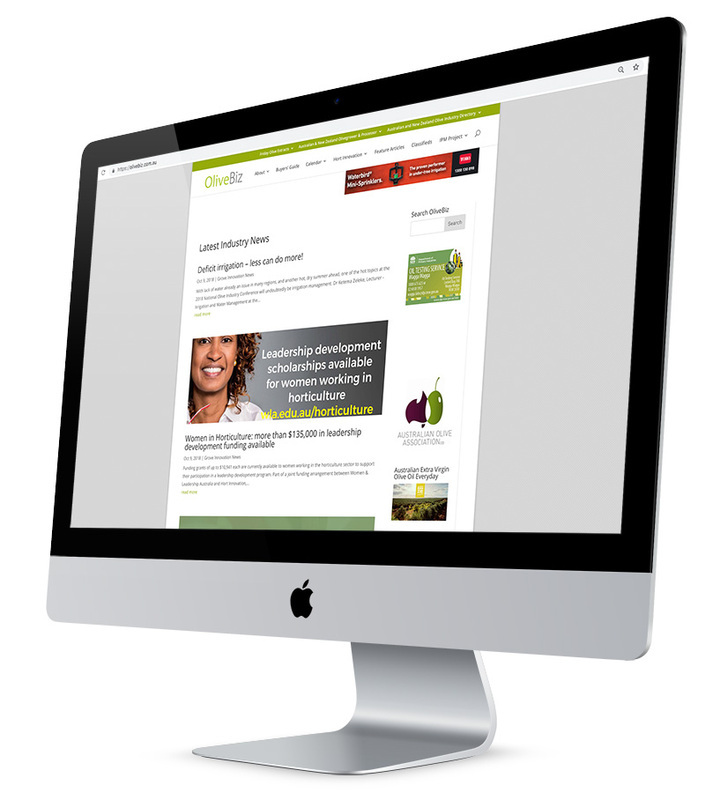 You can renew or subscribe here through our secure e-way payment system. It takes just a few minutes, with a tax invoice arriving immediately in your Inbox. Renew now – the December edition’s a cracker and you don’t want to miss out! Yes, she’s talking about olive oil, and emphasizes the importance – and value – of making sure you use the good stuff. Domenica Fiore president Anna Wallner and production director Cesare Bianchini launched Novello di Notte extra-virgin oil that sees no light from its night-time picking until the $65-priced stainless-steel bottles are opened. Malcolm Parry/PNG. Midnight oil: open a $65 stainless-steel bottle of Domenica Fiore Novello di Notte extra-virgin olive oil and its 500-ml contents should blink. That’s because three varieties of olives therein were harvested from an Italian hillside in the cool of night, promptly cold-pressed, and kept in the dark ever since. A pretty convincing overview on the health benefits of eating olives. This is one of my favorite cakes. Describing it, though, other than to say it’s made with a fruity Italian extra-virgin olive oil and has a terrific lemony kick — from both juice and zest — isn’t easy. Another recipe, you say … but what we love is the paragraph on “light” olive oil. 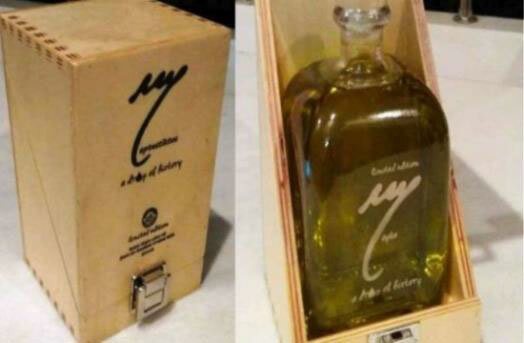 A 500-ml bottle of Cretan extra virgin olive oil was sold recently for the impressive sum of €510 ($580), a price equivalent to €1,020 ($1,160) per liter. 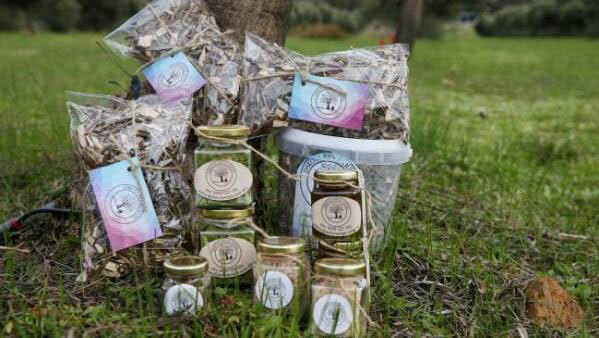 The pricey product was made from the ancient olive trees of the region of Ierapetra on the island of Crete and was put up for auction in the Netherlands. Someone appreciates the real value of great EVOO!